This is what we came home to, a far cry from the palm trees and ocean views; but I'll take it. October does some gorgeous work with our trees and bushes. 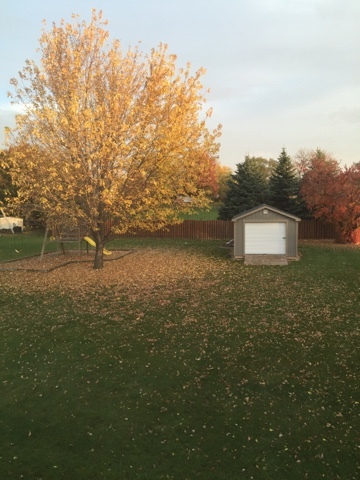 In the span of 36 hour's time, we went from the sunny, humid temperatures of southeast Texas to the crisp, cool fall colors of Minnesota. Even so, the kids had energy to burn.